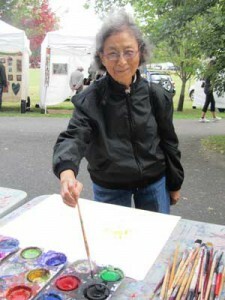 Partners for Health Foundation, along with the Montclair Health Department launched an “Aging in Place” program in 2014 with the goal of transforming Montclair from a good place to live into a great place to grow older. The program was designed to address senior citizen concerns, such as public transportation, pedestrian safety, parking, housing, activities for seniors, and others. The initiative is spearheaded by Katherine A. York, PhD, Director of Senior Services/Lifelong Montclair, Department of Health & Human Services, Township of Montclair. Katie has been successful in engaging a broad range of community stakeholders to identify new services that complement community assets. Katie’s expertise in the aging field spans more than 10 years. She returned to New Jersey after working as the Northern Kentucky SHIP Coordinator, helping Medicare beneficiaries navigate the public benefits maze. 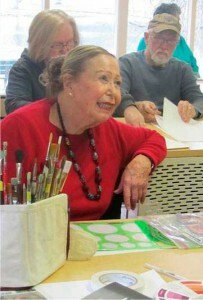 The program has had many successes, such as the launch of the Montclair Institute for Lifelong Learning (the MILL), the completion of the Lifelong Montclair Guide to Public Transportation and the Lifelong Montclair Directory of Senior Services, and development of a network of nearly 30 partner organizations. The MILL fosters opportunities for in-depth, high-level learning and socialization for adults 55+ from Montclair and surrounding communities. For more information on the MILL and their current course schedule, please click here. 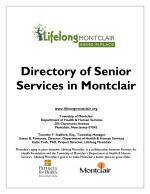 The Lifelong Montclair Directory of Senior Services is a comprehensive resource of services, vendors and transportation options for individuals who are aging in Montclair. 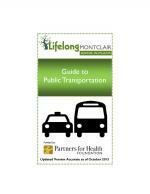 The Lifelong Montclair Guide to Public Transportation was developed by the New Jersey Travel Independence Program at the Rutgers Edward J. Bloustein School of Planning and Public Policy to help Montclair’s senior citizens understand available transportation resources. 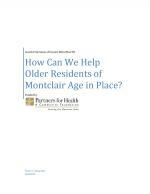 How Can We Help Older Residents of Montclair Age in Place? 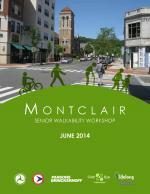 A comprehensive study that sought to understand the assets and resources for seniors in Montclair, the challenges seniors face, the demographic context, and potential programmatic opportunities for further consideration. 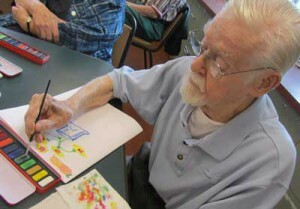 Edgemont Park House provides senior residents with a place to convene, socialize and learn through a variety of educational and recreational activities offered by the Township’s Department of Recreation and Cultural Affairs, and Department of Health and Human Services. Click here for the current newsletter!